It’s that time of year again. The Secret Santa hat gets passed round, and as you draw out a name, you’re already panicking about what to buy. But don’t worry; we’ve got you covered with our Secret Santa guide. 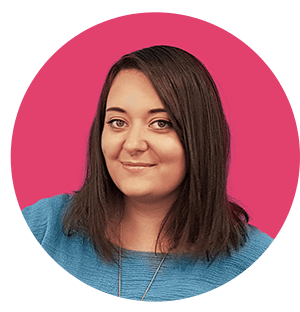 We’ve surveyed over 1500 office workers to find out their Secret Santa successes and mishaps to help you avoid any gift-giving blunders this Christmas. Whether you’re buying for colleagues or employees we’ve uncovered the best gifts to give. With 94% claiming that a gift from their employer makes them feel appreciated, choosing the right present is important when it comes to staff satisfaction. 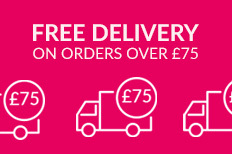 And from awesome print to a tight-knit workforce, we want you to flourish in every way possible! So, what’s the secret to Secret Santa? Rest assured, the elves at instantprint have worked tirelessly to produce the answers. You can sit comfortably while we tell you how to nail the perfect gift every time and keep yourself off the office naughty list! Some of our survey respondents had received absolutely stellar gifts that we couldn’t leave out. Check out some of these unmissable honourable mentions. So, other than a piece of coal and the traditional soggy satsuma, what gifts should you avoid if you don’t want to end up as the office Christmas pudding? We know what you’re thinking… how can you forget to get a Secret Santa present for your colleague? Men are more likely to be forgotten about than women, but the total figure of those forgotten was a whopping 21% - that’s over 1/5th of respondents. Sorry guys! How Does Your Department Compare? 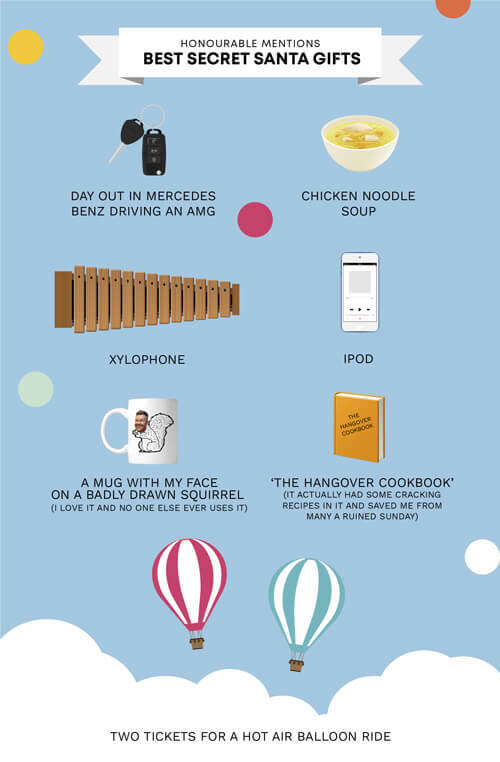 Best Gift Givers Revealed! If you’re wondering who pulled your name out of the hat this year, you’d best be hoping for someone from the Sales and Marketing team. 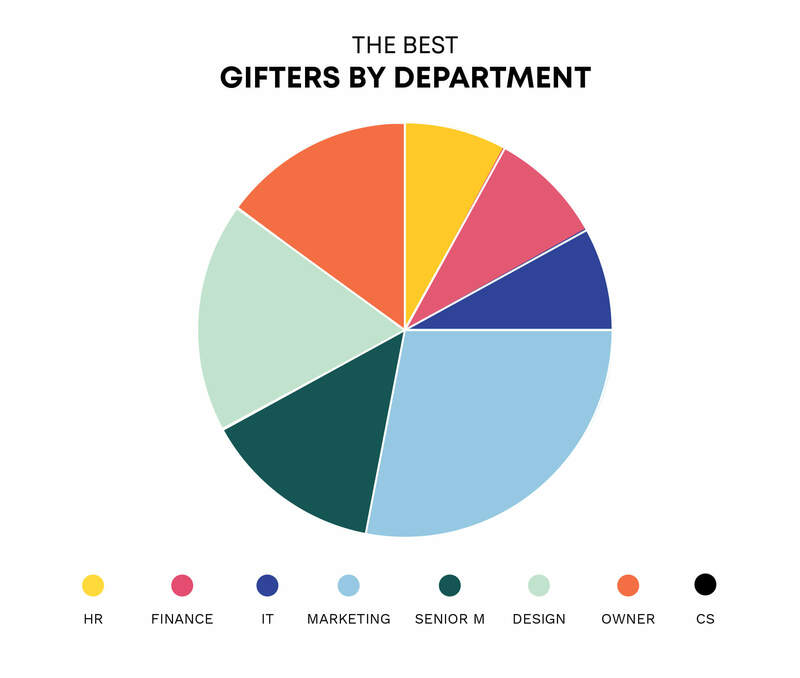 28% of survey respondents said that their best Secret Santa gifts came from a colleague in this department. In second place (trailing slight behind) is Design. Almost one in five (18%) of the best Secret Santa presents are gifted by someone in this team. Which Department Gives the Worst Presents? To dish the dirt on the worst Secret Santas, our survey asked which department the bad gifters came from. Customer Services were rated by far the worst at picking gifts (22%). All you can do is hope they don’t end up with your name on their Christmas shopping list. Which Department is Most Likely to Give Generously? A gender split in our survey results reveals that women are the big spenders with 42% of them spending between £10-15. 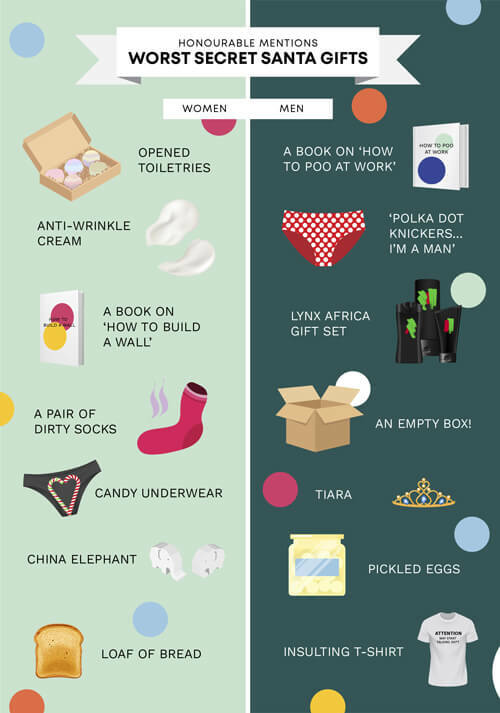 However, men aren’t quite so generous, spending on average £5-£10 on their Secret Santa gift. Gift value also differs by department. Although they were voted as the worst at buying presents, Customer Service are top of the list when it comes to flashing the cash as 4.6% of them spent £45-50 (compared to 0% from the HR team – did someone say humbug?). Most likely to go over budget, however, has to be Senior Management, with 48% of respondents claiming they overspend on Secret Santa. This is followed closely by HR (44%) and Marketing and Sales (43%) who are also notorious budget-busters. All in all, we’re a pretty generous bunch; only 6% of us go under budget, 55% stay on track, and a whopping 39% actually spend more than we should! 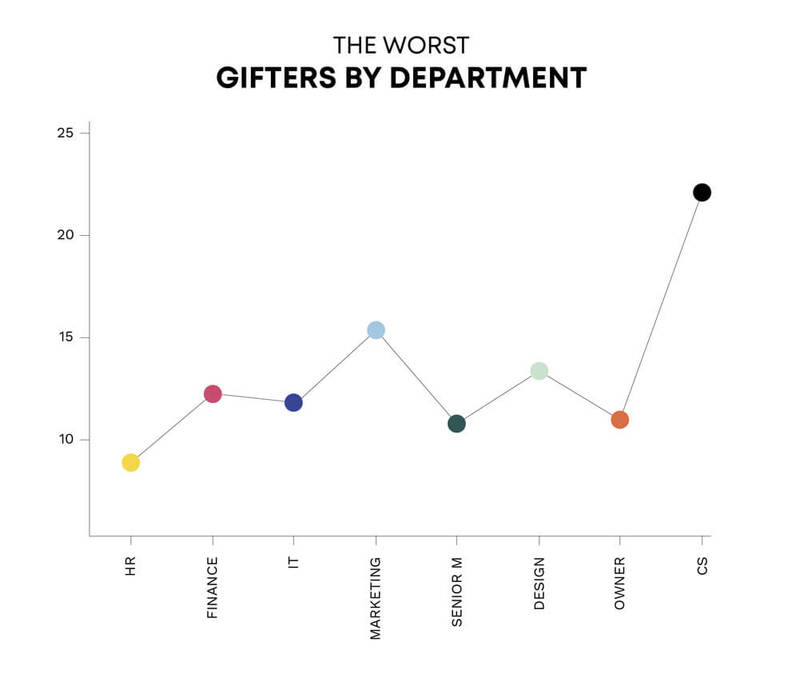 Which Department is Most Likely to Complain About a Gift? If you’ve pulled the name of someone from the IT department out of the Secret Santa hat, then we wish you the best of luck buying them a gift. 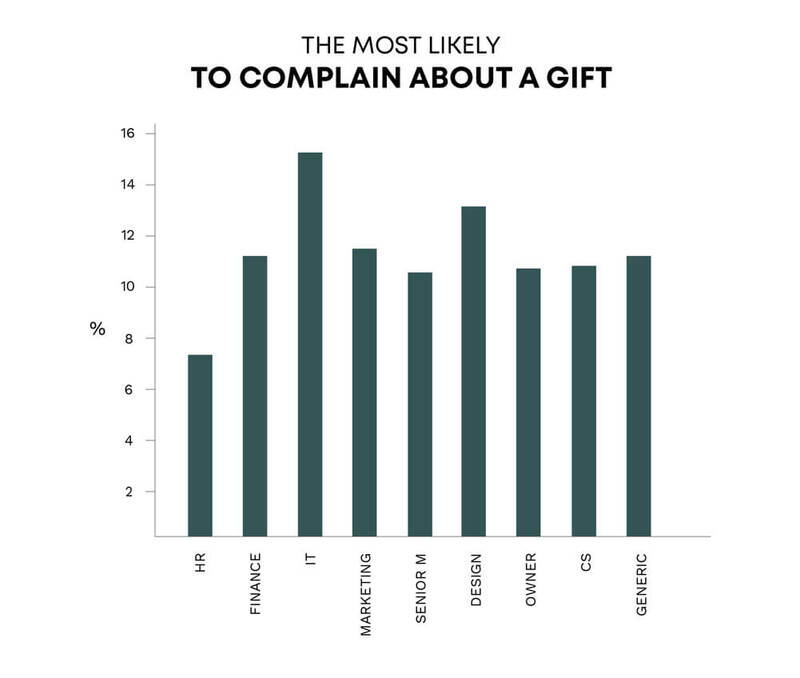 With 22% claiming they’ve received a terrible gift in the past, they’re by far the hardest to buy for. On the other hand, HR hold the title of easiest to please, with only 10.7% claiming to have received a bad Secret Santa gift. As the most grateful department, pulling their name out of the hat should lead to smooth sailing (or should we say sleighing?) this Christmas. What Do Workers Want From Their Employers? 94% of people surveyed said that receiving a gift from their employer made them feel appreciated, happy and valued – meaning it’s a great way to reward all the hard work they’ve done this year. Giving gifts to employees doesn’t have to be difficult, especially since our research shows exactly what they want. Gift vouchers were the most popular gifts from employers (29%), followed extremely closely by an early finish (28.9%). Although, there is a bit of a gender split with men saying they’d rather finish early (28%), whereas women would opt for the gift voucher (33%). IT were particularly keen on an early finish, with over one-third (35%) opting for this as their ideal Christmas gift. Only 6.9% of employees would want a charitable donation placed in their name. Senior management prove to be the most selfless department – 11% would like a donation as their gift. But they’d still rather have a free bar at their companies Christmas Party (26%). Whether you’re buying for a colleague or an employee, there’s no denying that a little gift is sure to brighten up everyone’s Christmas. And now you know which Secret Santa gifts are duds and which are winners, the only thing left to do is figure out what you’re going to get! 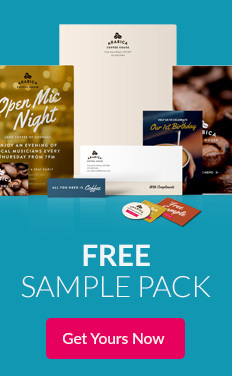 To make things even easier, we’ve created a gift generator to help you decide on the perfect present.